10% off on business and economy class return fare! 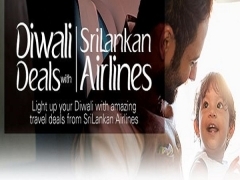 Light up your Diwali with amazing travel deals from SriLankan Airlines. Be with your loved ones to celebrate Diwali.